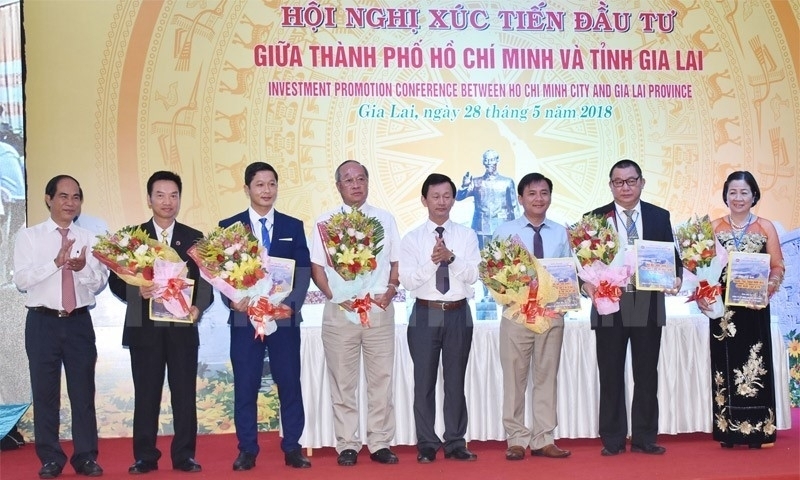 More than VND21 trillion (US$924 million) worth of investment was pledged to the Central Highlands province of Gia Lai during the Investment Promotion Conference between Ho Chi Minh City and Gia Lai province held in Gia Lai on May 28. The conference aimed to boost trade, investment and tourism promotion activities between the two localities while assisting more than 400 participating enterprises in seeking business opportunities and partners. At the conference, the People's Committee of Gia Lai province granted investment certificates to 10 projects with a total registered capital of nearly VND5 trillion. At the same time, 11 investors planned to sign memoranda of understanding to invest a total VND16.1 trillion in Gia Lai. 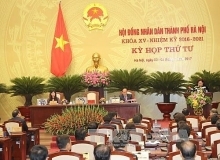 Addressing the ceremony, Chairman of Gia lai provincial People's Committee, Vo Ngoc Thanh, expressed his hope that enterprises from Ho Chi Minh City would continue to invest in and assist Gia Lai in the areas of organic agriculture, high-tech agriculture, the processing industry, and tourism. The province leader also wished for more support in the areas of start-ups, business development, and the building of modern cooperative models. This is the 15th year in a row that Ho Chi Minh City and Gia Lai province have jointly held the investment promotion conference. In those 15 years, 26 enterprises from Ho Chi Minh City have invested in 27 projects in Gia Lai with a total capital of over VND6.3 trillion in the areas of agriculture, forestry, power, and construction. Meanwhile, Gia Lai enterprises have invested in 22 projects in Ho Chi Minh City with a total registered capital of nearly VND30 trillion.